The search for a place in the world has been a significant issue for Native Americans since they were forced from their homelands by white settlers, a fact made crystal clear by those Native American writers whose mission is to rediscover literature for their children, as well as their their historical roots and cultural heritage. Among the numerous Native American writers of this golden literary era are Paula Gunn Allen, Louise Erdrich, Joy Harjo, N. Scott Momaday, Simon J. Ortiz, Leslie Marmon Silko, Gerald Vizenor, and James Welch. 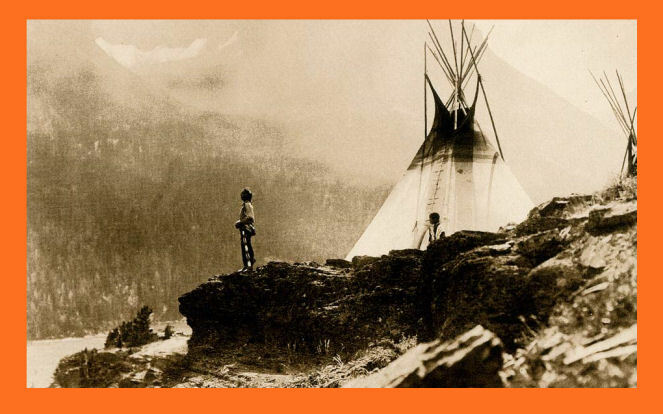 Before these writers penned their masterpieces, oral tradition played an essential role in passing down Native American history and culture through the generations; oral tradition thus also had a significant effect on Native American writings. The goal of many of these writers today is to inscribe their history, particularly the period of encroachment and colonization by whites, from a Native American perspective. Among living Native American writers, Louise Erdrich is one of the most prolific and diverse. A member of the Turtle Mountain Band of Ojibwa, she focuses on the delineation of Ojibwa in her novels. In "The Game of Silence" (2005) and sequel to "The Birchbark House" (1999), Erdrich examines the complex history of the Ojibwa people’s forced removal in the 1850s from their beloved homeland on an island in Lake Superior, following the government’s orders. Writing from a child’s perspective, Erdrich exposes the anxiety, fear, and sadness of the Ojibwa people when confronting the loss of their home. Using "The Game of Silence" as a case study of Native American views on place/space and the concept of home, particularly the relocation of home. Through her writing, Erdrich not only constructs a space to represent a lost Native American history through which Native American children can learn their history and culture, but also rebuilds the ancestry of her tribe; in so doing, she manifests the possibility of cultural survival for Native Americans. (5) the silencing and marginalization of Native American history, a history that must not be forgotten. Within this discourse on silence, is the following question: what does home signify for Native Americans? Native American writers on place/space and the concept of home offer a number of possible answers. Here, my textual analysis of "The Game of Silence" shows how Erdrich represents both the dilemma of the Ojibwa people as white people encroached upon their homeland, and their struggles in locating a new home for the Ojibwa tribe. Place and space are intertwined and inseparable. Vine Deloria, an eminent Native American philosopher, regards space as a paramount element of Native American thought and religion: the concept of space shapes the relationship between Native American people and the land. Space can be defined as the dynamic relationship between an ensemble of different categories of textual elements such as characters, places, and other spaces, but also mythology, flashbacks, memory, and stories. Accordingly, for Native American writers, it is imperative to create a space for their tribes, to bring their voices from margin to center.